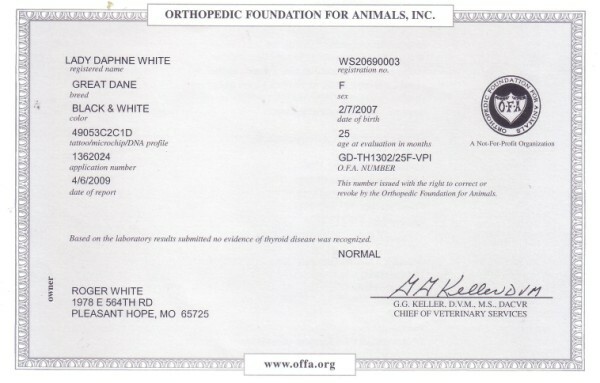 Daphne is no longer with us and is missed but “Whoop-See-Daisy“, her daughter will be her replacement. 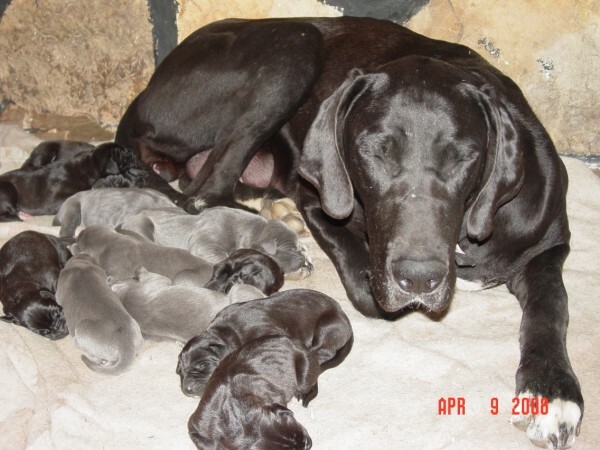 Whoop-See-Daisy’s 1st litter will be available around Oct. 2013. 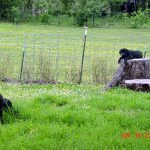 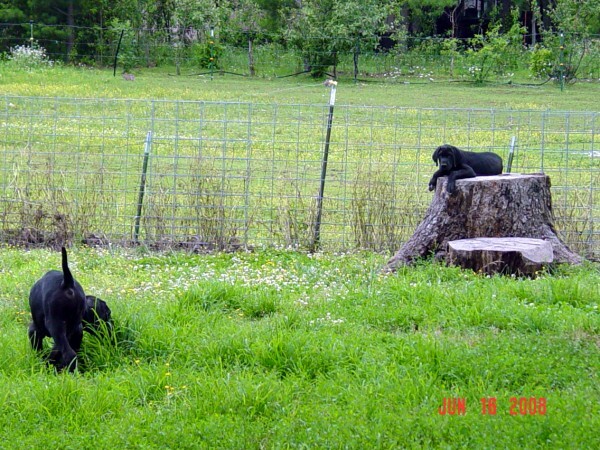 I have two of Whoop-See-Daisy’s girls. 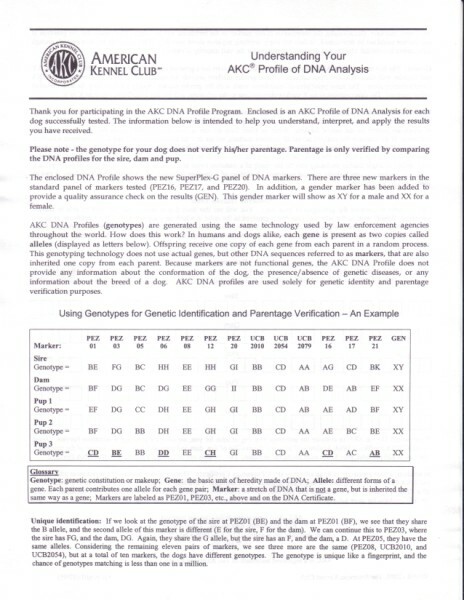 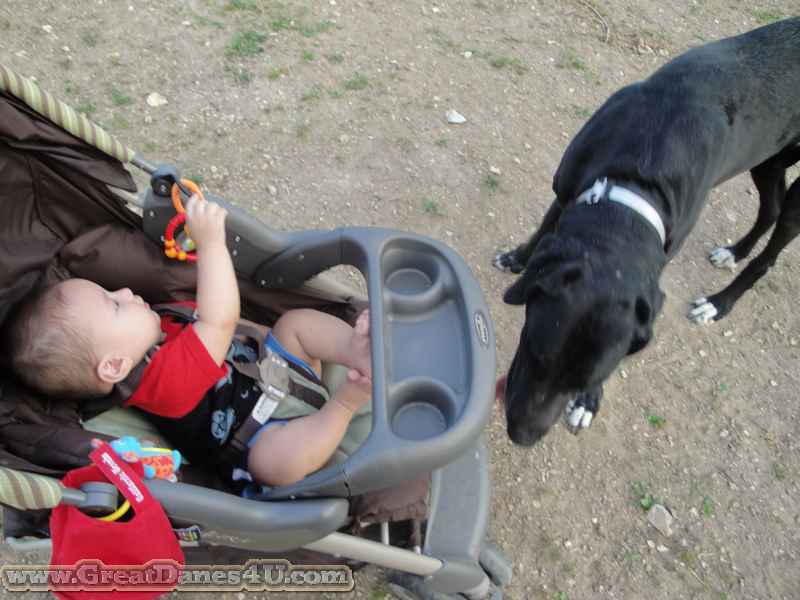 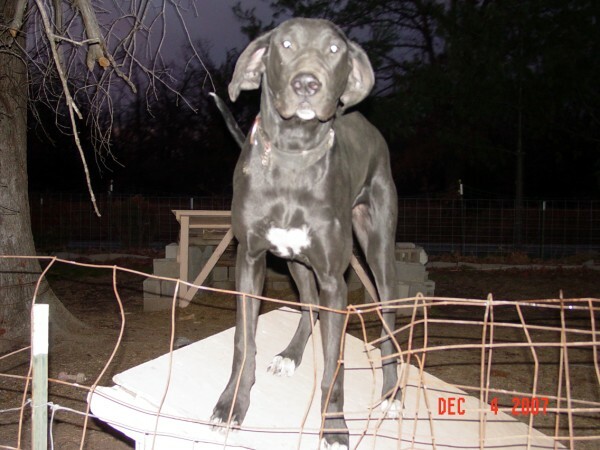 The Older girl, “Hera the dog”, bred by “Bronco-Billy” and “Phoebe” bred by “Le Tigre'”. 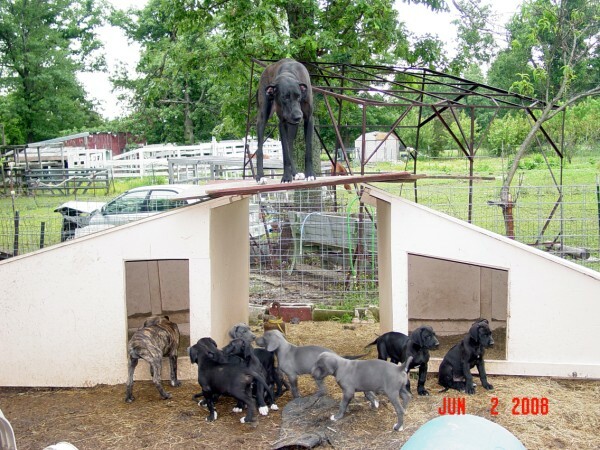 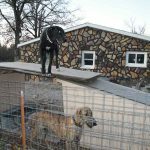 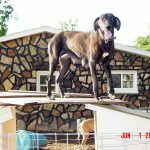 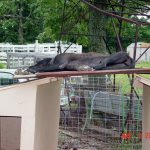 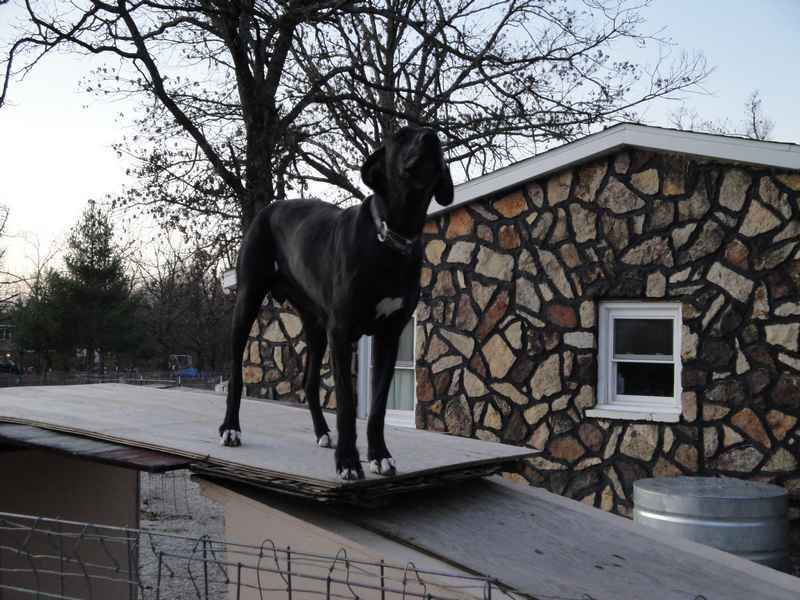 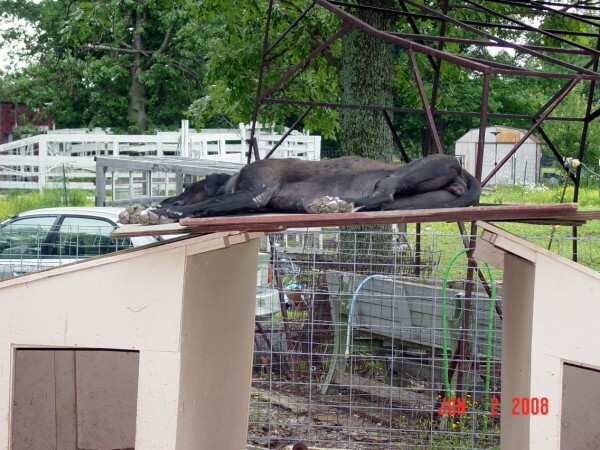 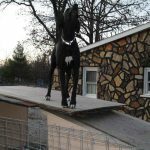 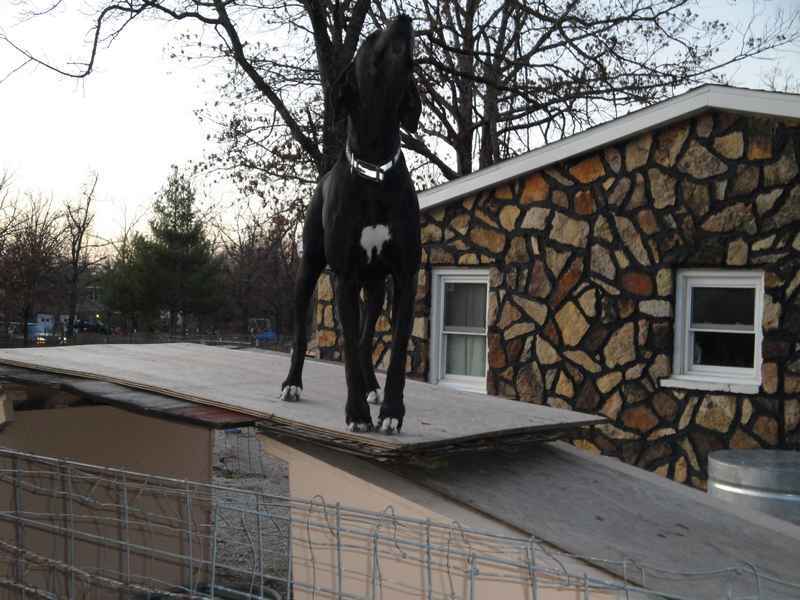 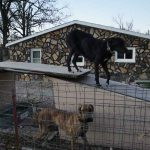 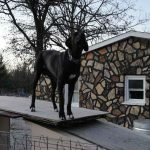 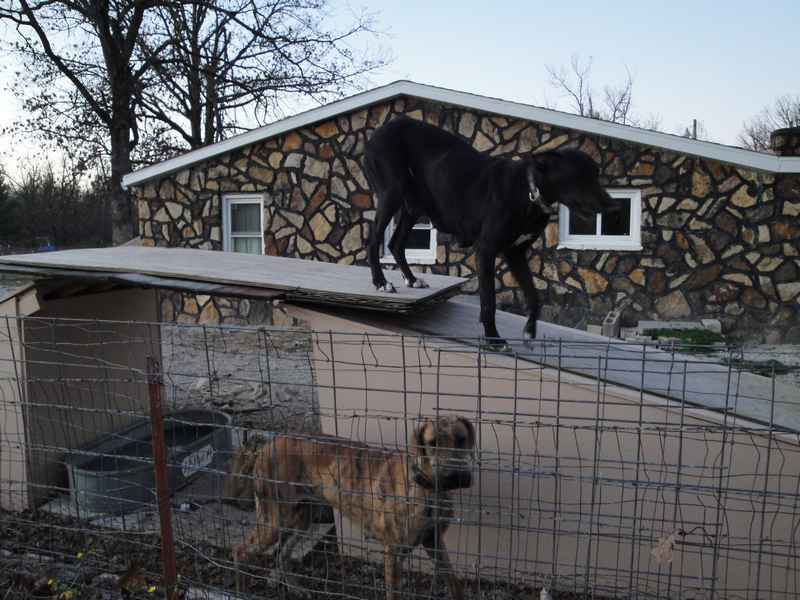 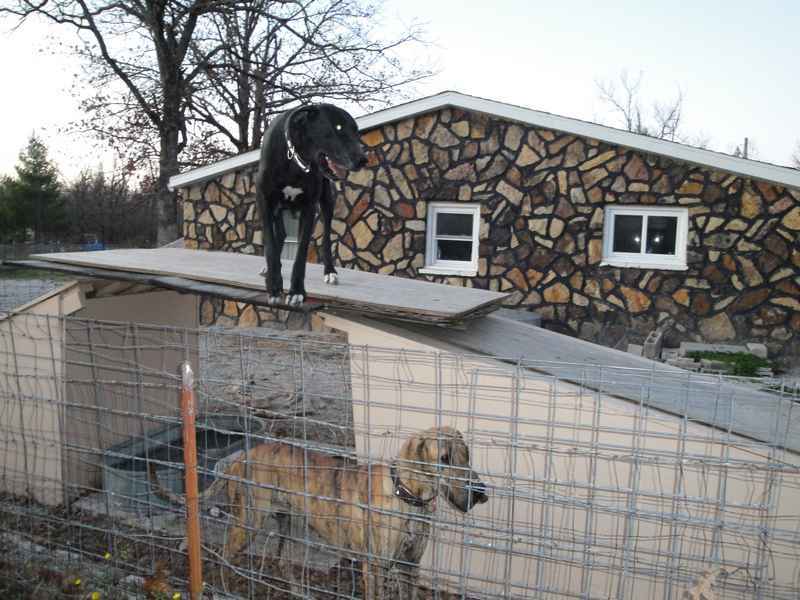 This black Great Dane line loves to be on top of sundecks, dog houses…anything. 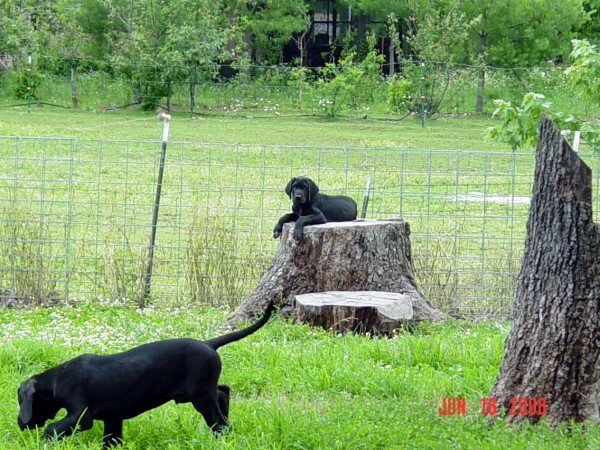 They are just fun! 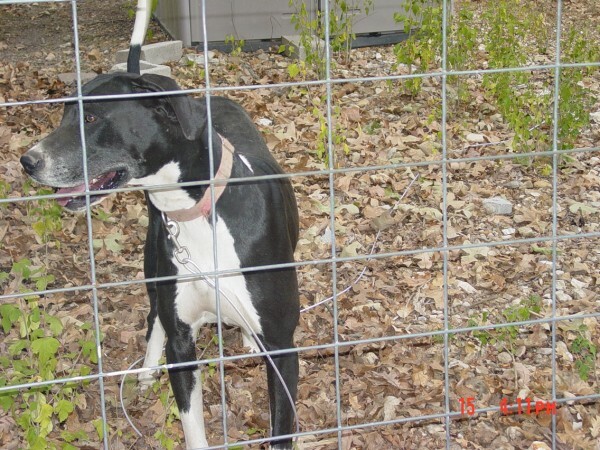 Fisher’s Daphne is DNA Profiled, has a wonderful temperament & great markings! 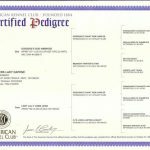 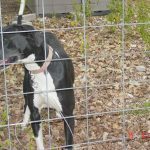 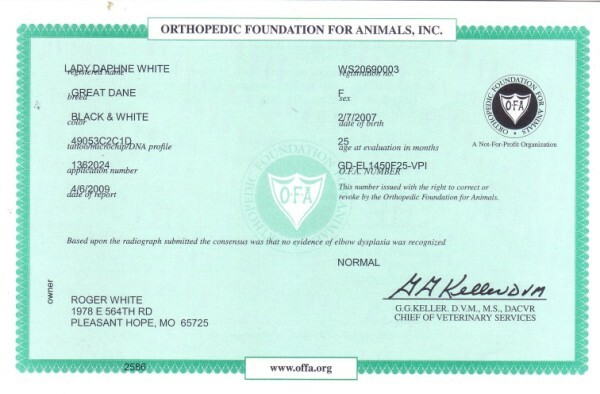 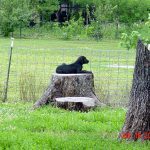 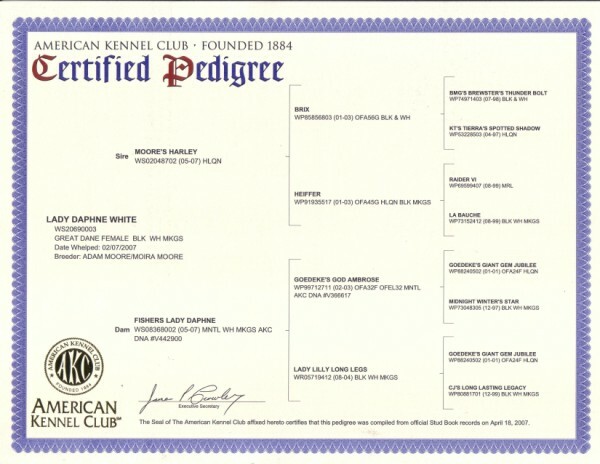 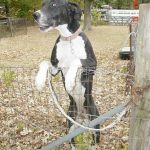 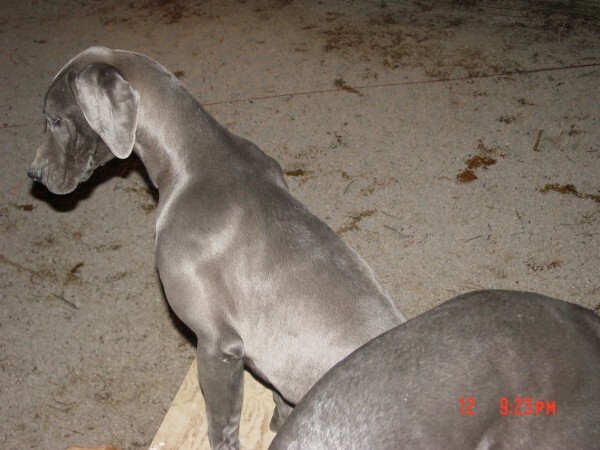 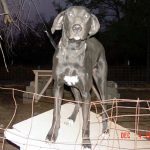 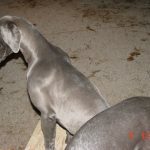 “Lady Daphne White” is daughter of a Mantle female, Great Dane, “Fisher’s Lady Daphne,” who I sold to Moira Moore of St. Louis, MO. 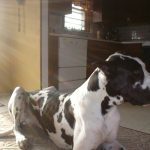 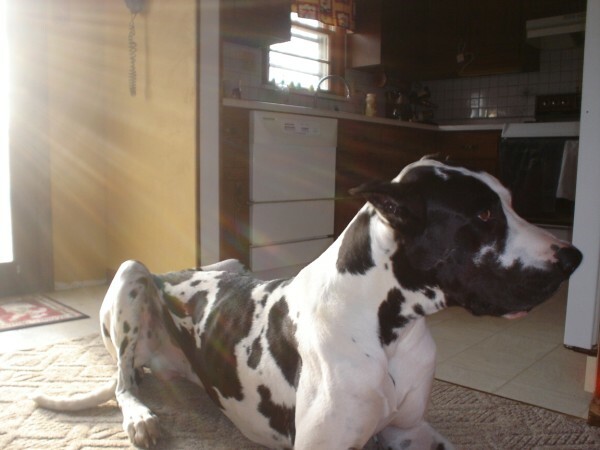 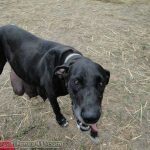 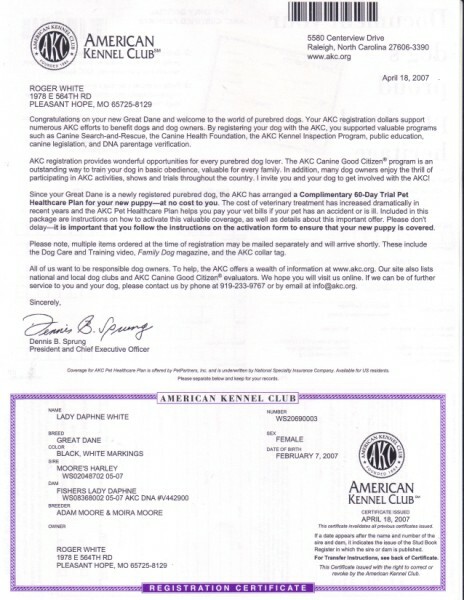 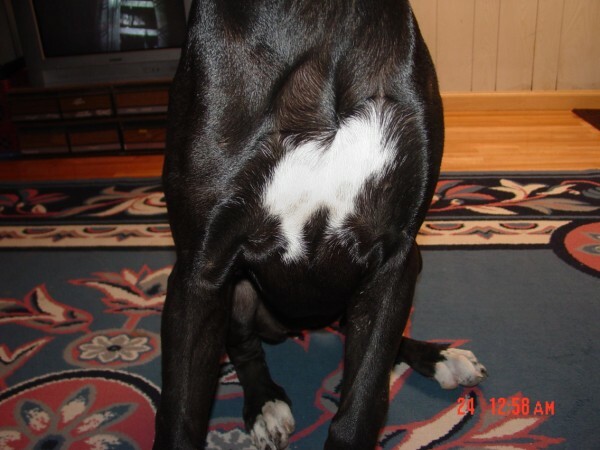 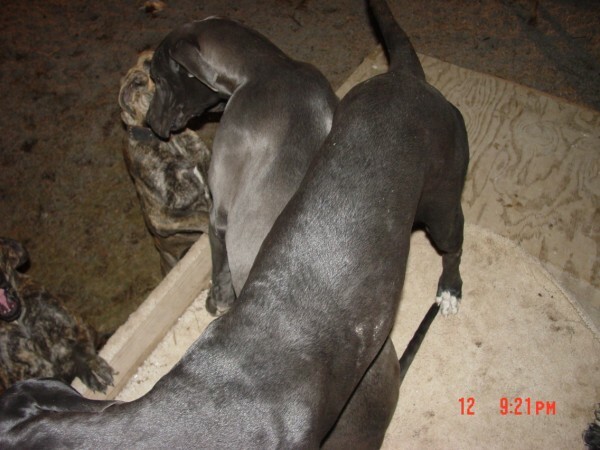 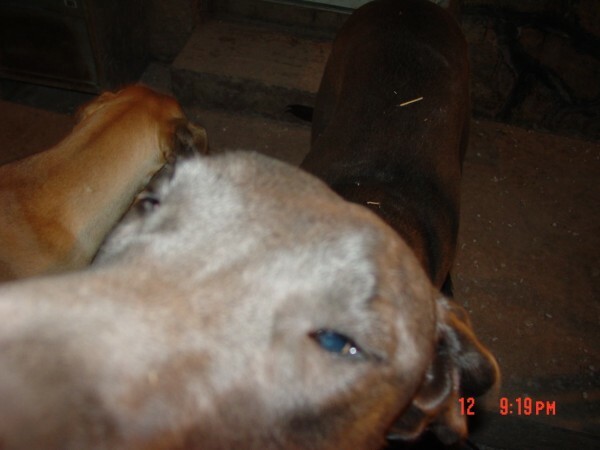 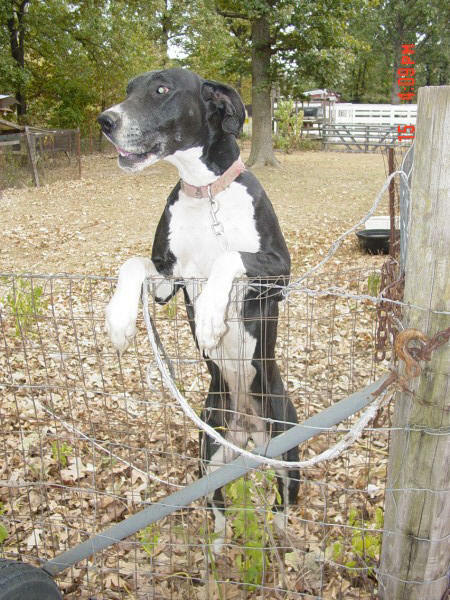 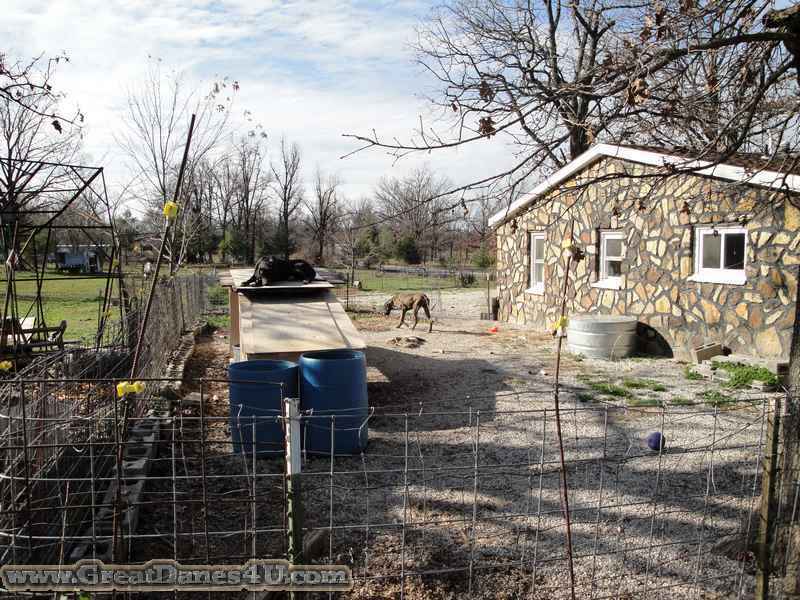 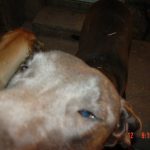 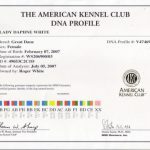 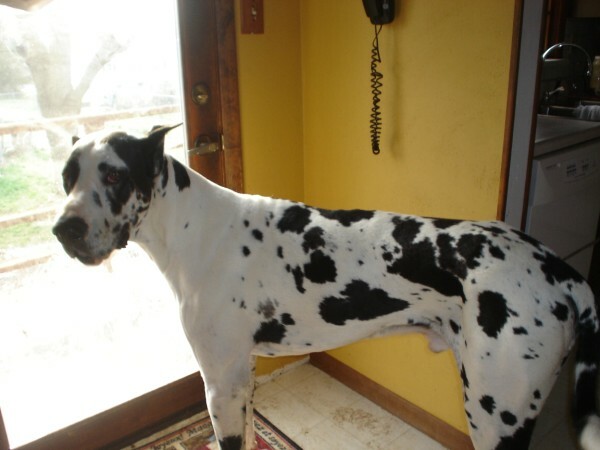 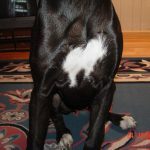 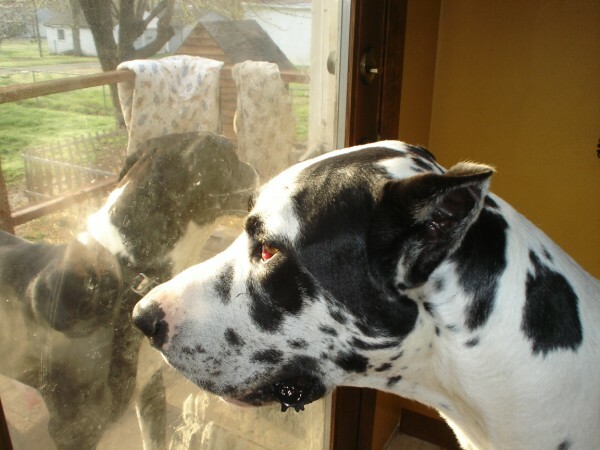 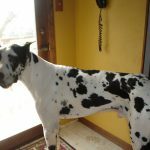 “Moore’s Harley”, the sire, a Harlequin Great Dane is a grandson of a German import. 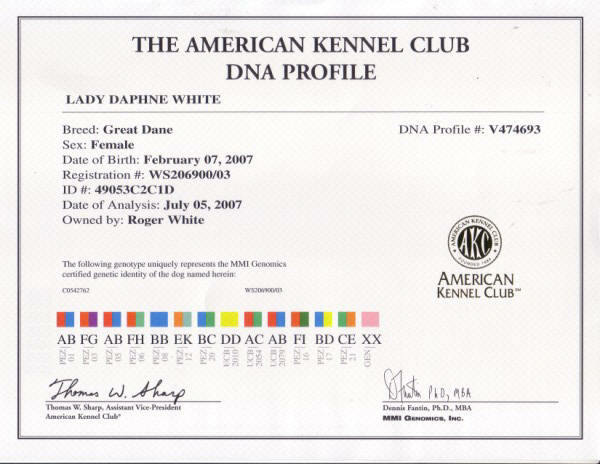 Lady Daphne named in honor if her Mom! 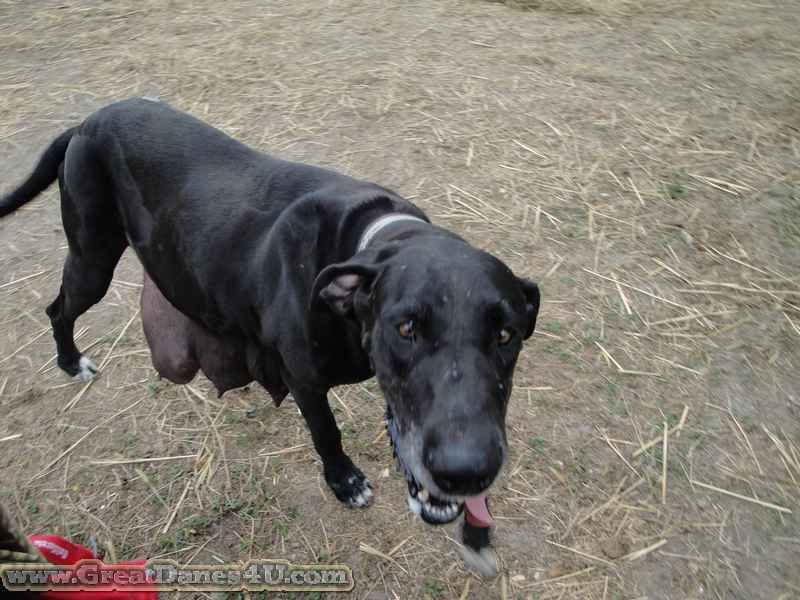 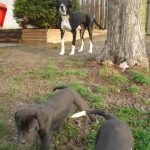 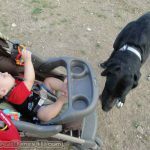 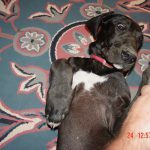 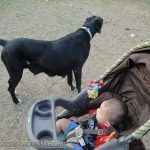 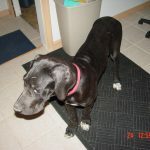 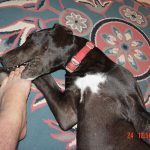 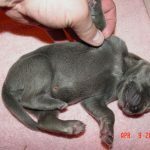 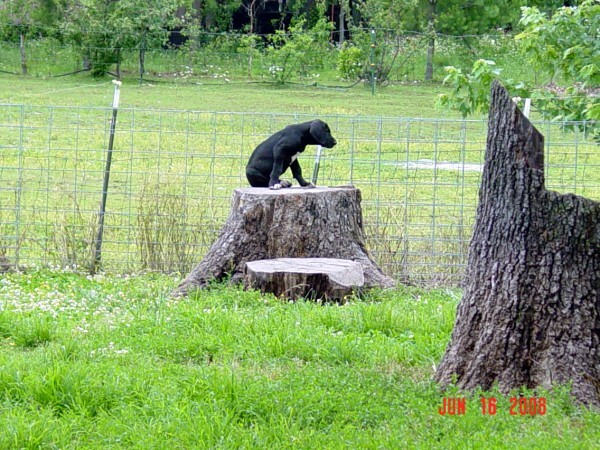 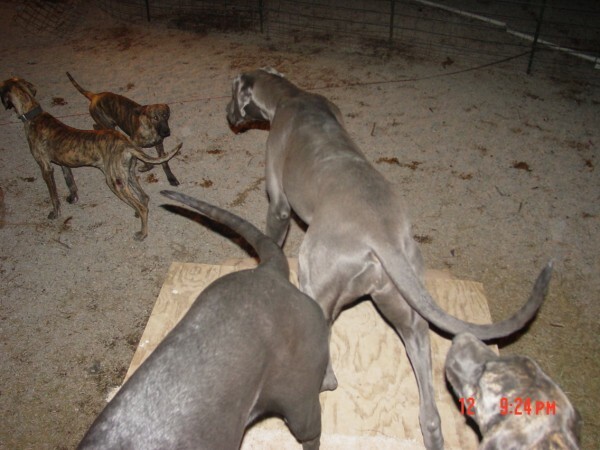 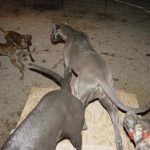 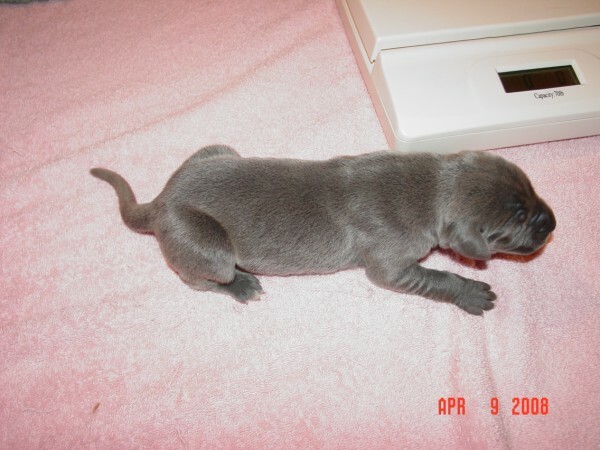 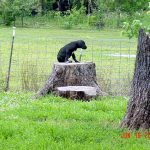 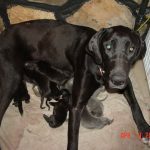 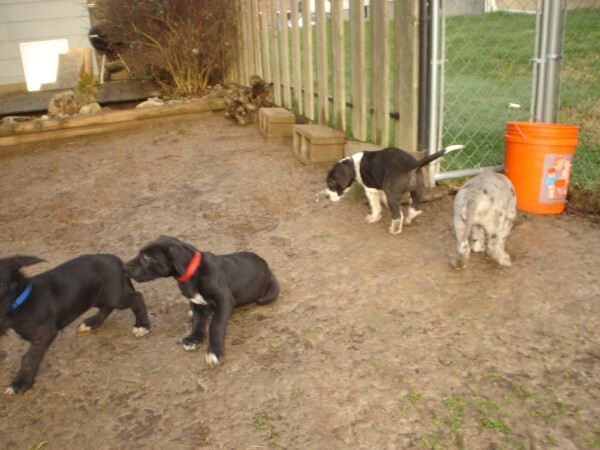 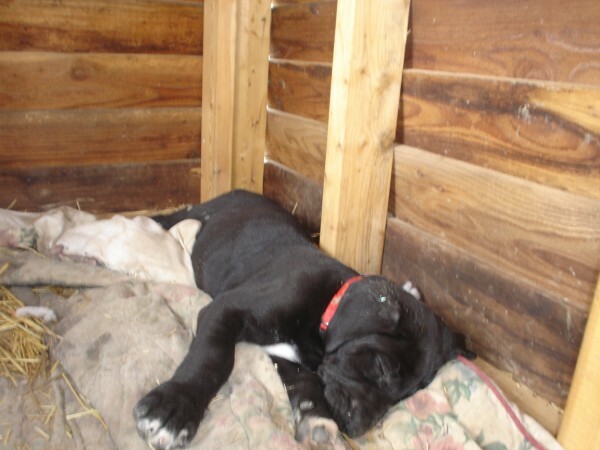 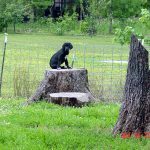 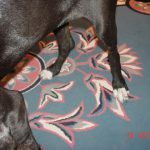 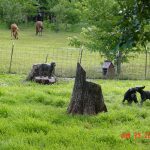 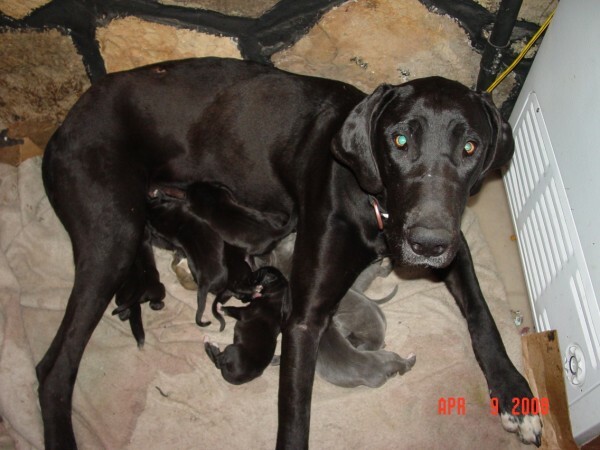 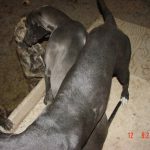 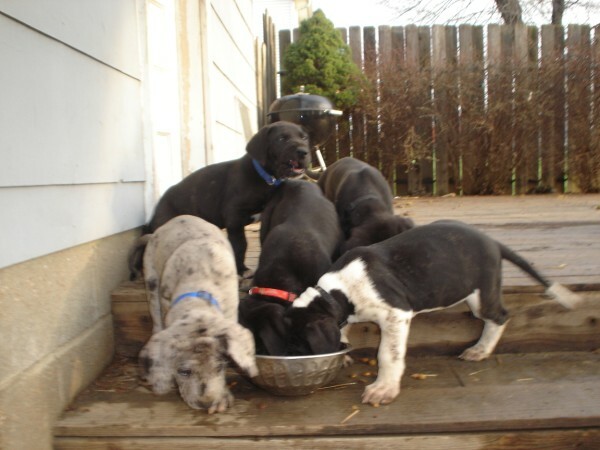 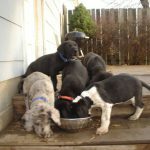 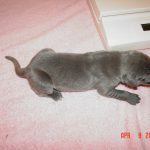 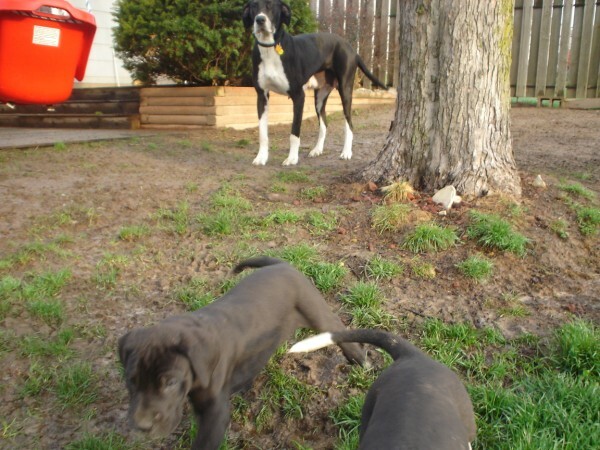 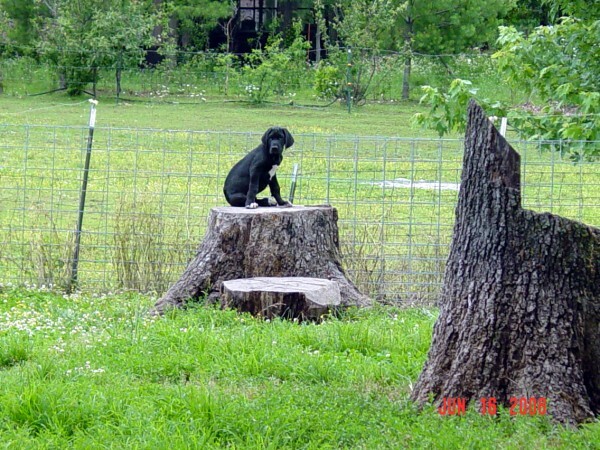 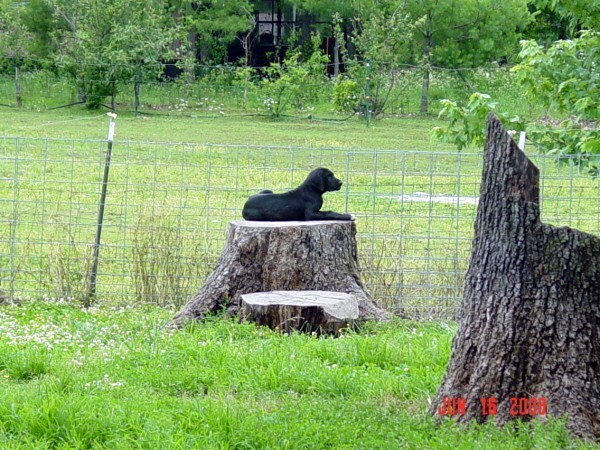 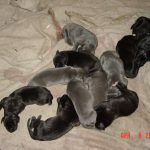 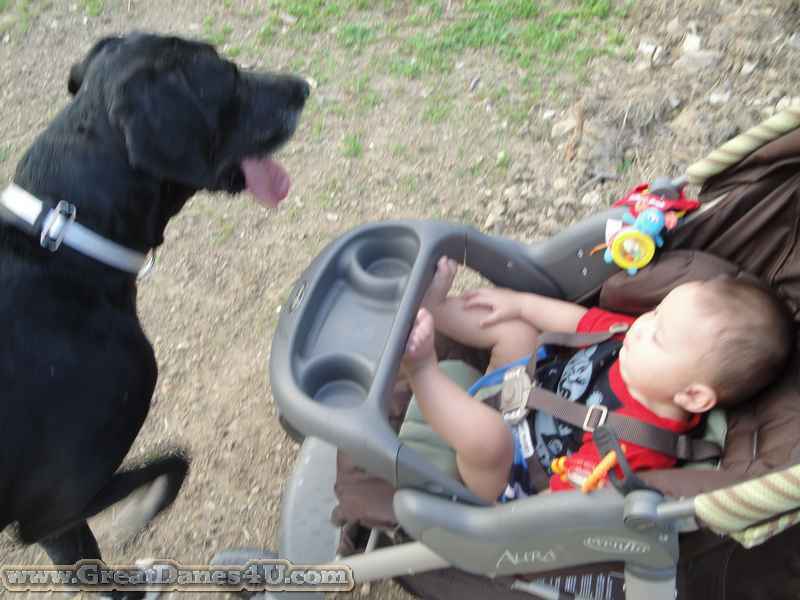 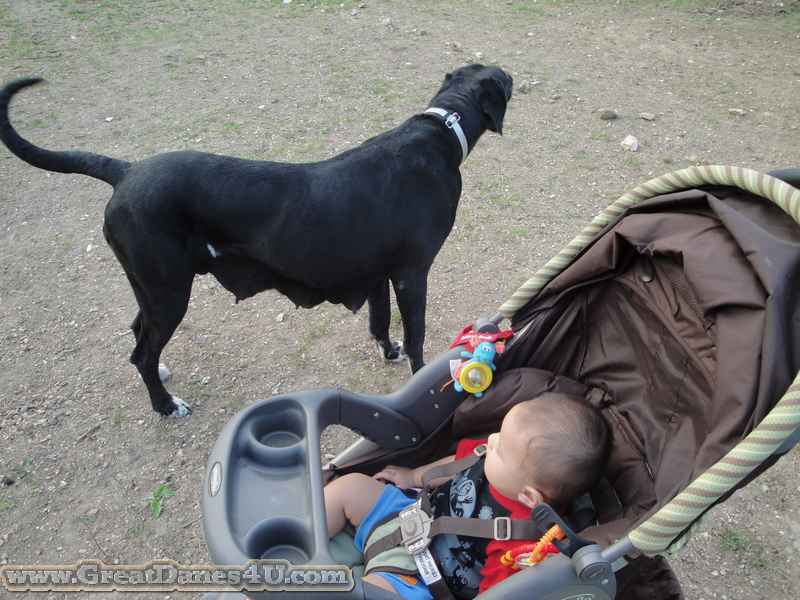 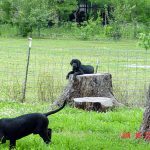 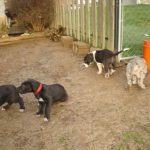 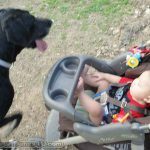 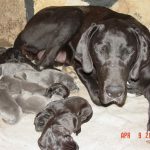 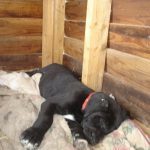 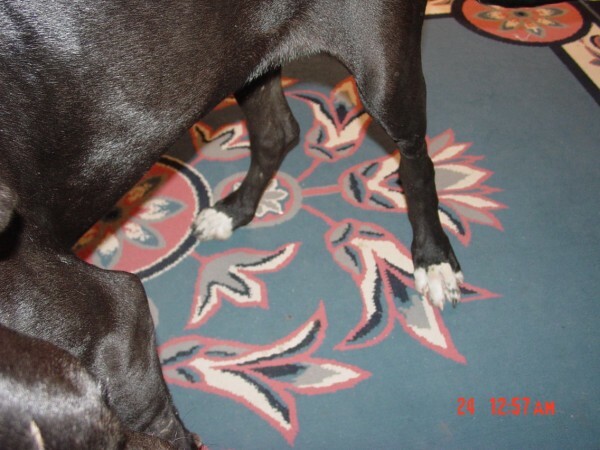 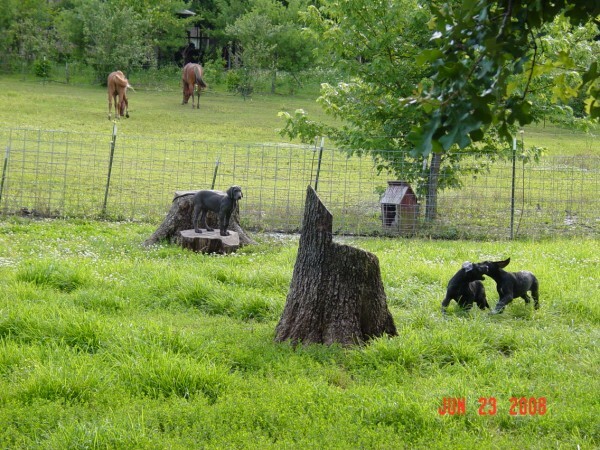 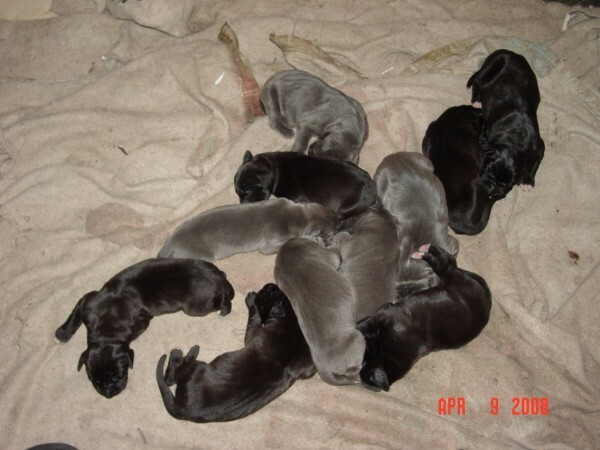 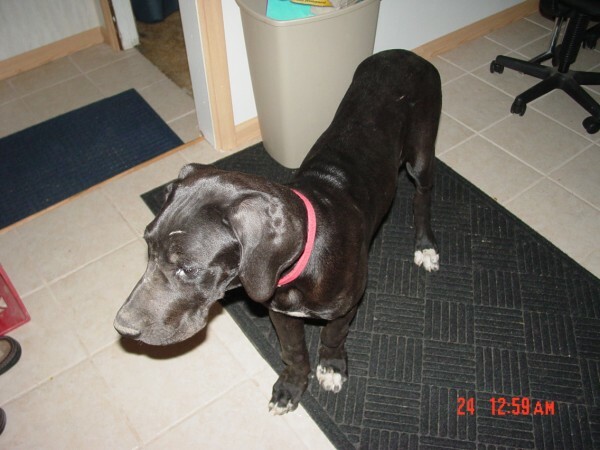 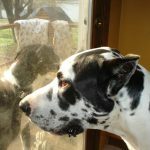 Daphne was the biggest and orneriest Black Great Dane of the litter! 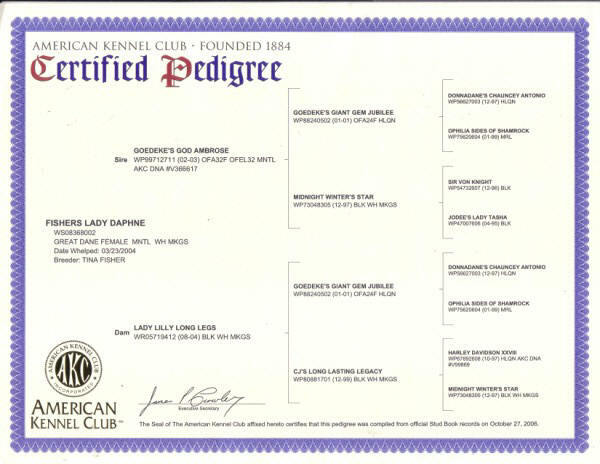 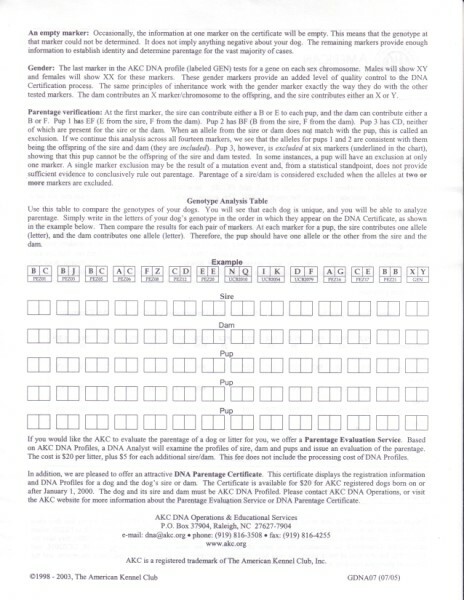 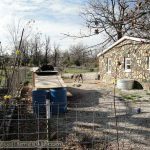 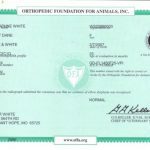 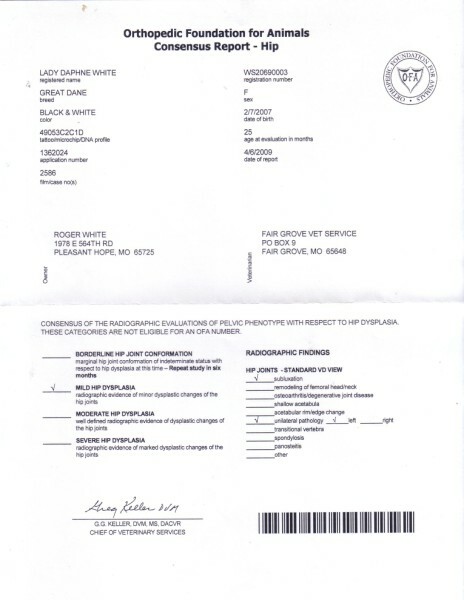 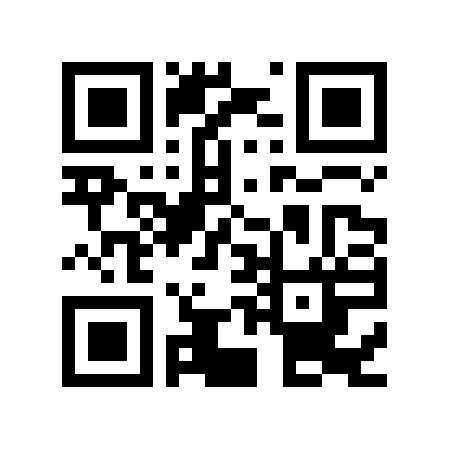 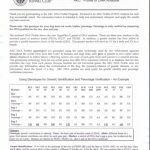 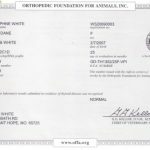 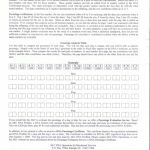 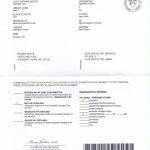 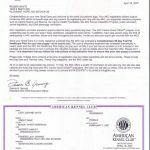 Lady Daphne’s photos and paperwork. 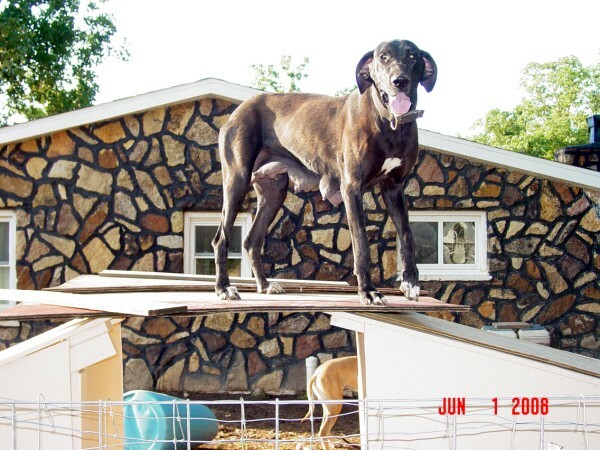 Daphne demonstrates life is better on “Top of the World”! 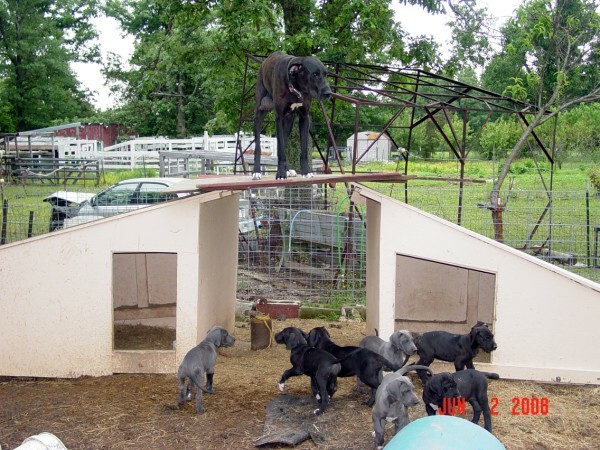 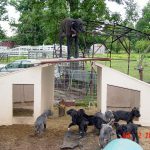 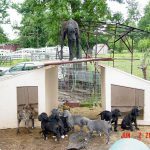 Daphne’s pups learns the values of being on “Top of the World”! 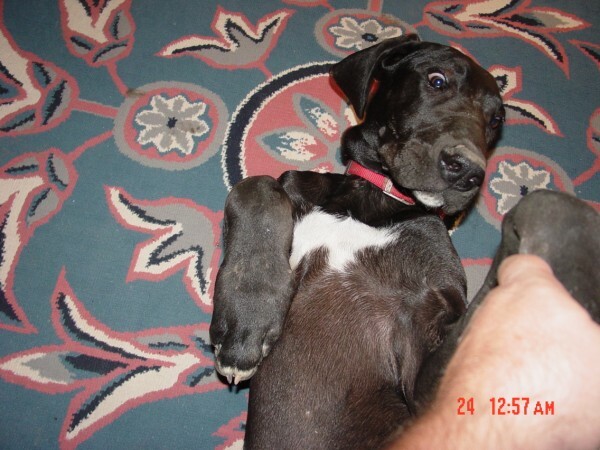 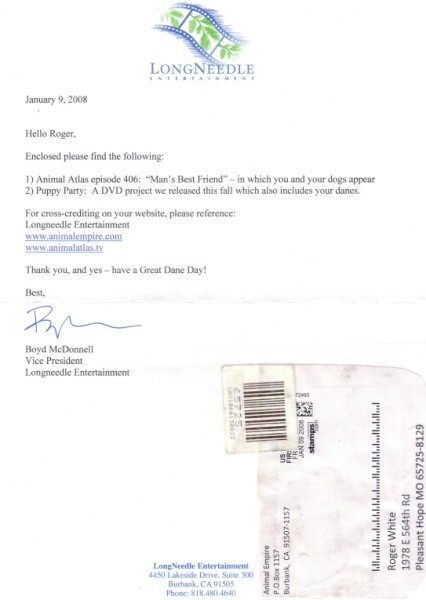 Daphne’s Blue Pup “BooBerry”, flew out of Springfield in a Private Plane – lucky dog!